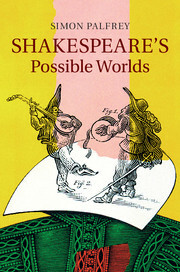 Simon Palfrey is the author of Shakespeare’s Possible Worlds. He is Professor of English Literature at Oxford University. He is the founding editor of Shakespeare Now! His long list of books include 'Shakespeare in Parts' (with Tiffany Stern, 2007 – winner of an AHRC Innovations Award and the MRDS David Bevington Award for best new book on Medieval and Renaissance drama) and Poor Tom: Living ‘King Lear'. He is also the author of new play, Demons Land, inspired by Spenser's Faerie Queene, which is now being adapted into four linked short films. Shakespeare: Where Is the Life?